"I am really so frustrated right now as I have accidently pressed the factory reset on my Samsung S5 phone and I have lost all the data. How can I recover data from Android after factory reset?" If you want a simple and effective solution, have a try with Android Data Recovery. This tool is capable of recovering data from Android phones and tablets running Android 6.0 M, Android 5.1/5.0, Android 4.4 KitKat, etc. after resetting them to factory settings, rooting or deleting files by mistake. The Tenorshare Android Data Recovery tool works for all brands of Android phone including Samsung Galaxy, HTC, Sony, Motorola, Google Nexus and LG. 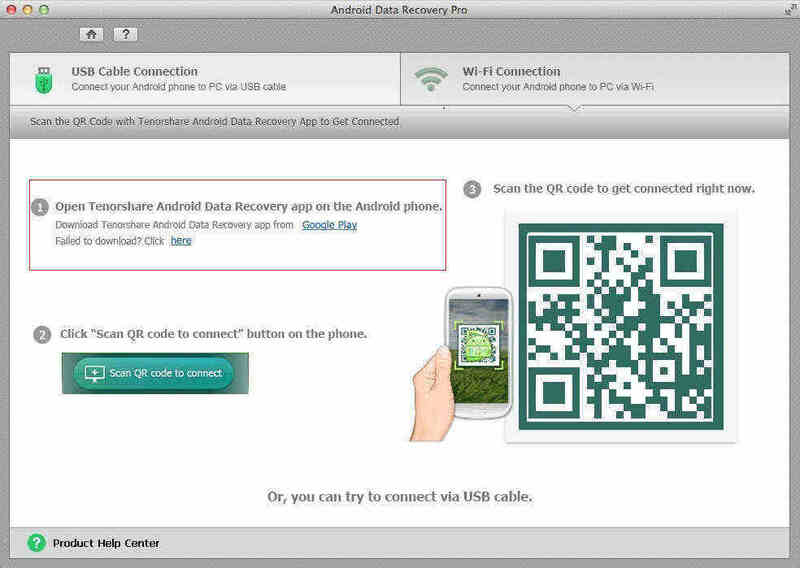 As long as your device is running Android OS, this tool will help you rescue the lost data. Android Data Recovery tool can greatly recover any lost contacts, photos, text messages, call history, videos and other files. 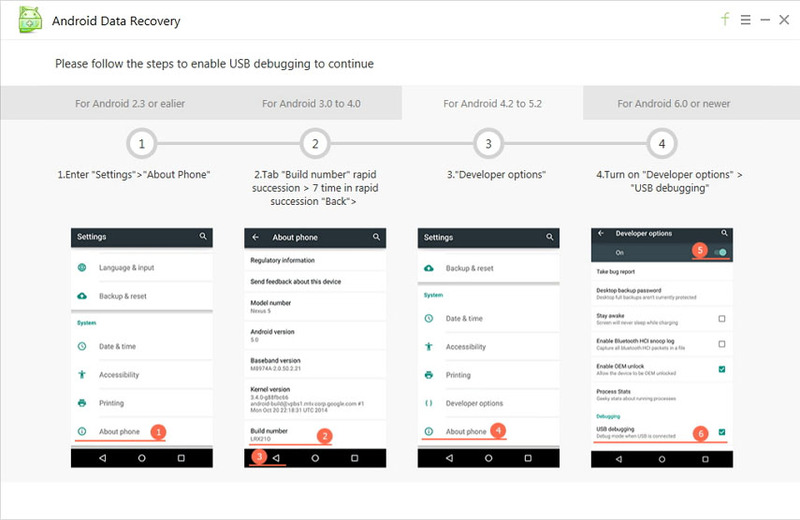 The following guide explains how to recover data after factory reset Android freely. Attach your Android device to computer via a USB cable. Run the software and follow the onscreen commands to enable USB debugging and turn on USB storage on your Android phone or tablet. 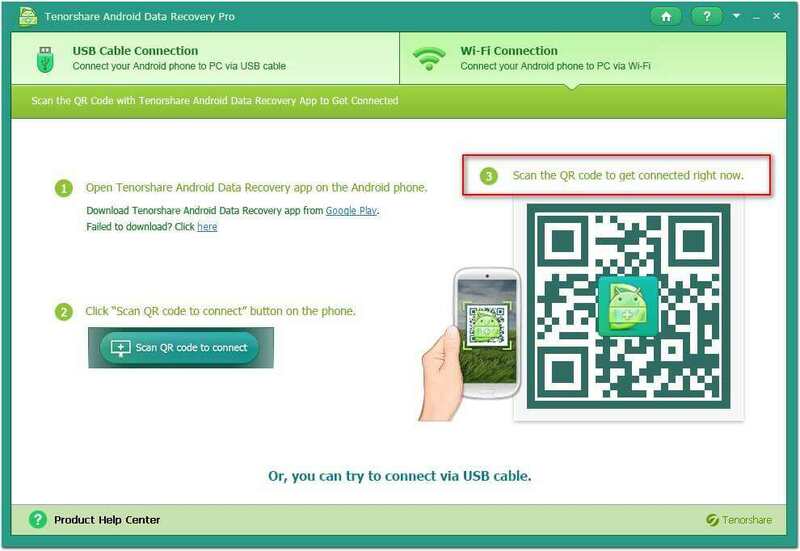 If your USB cable is lost or the USB port is damaged and you can't connect your Android phone to PC, you can try Tenorshare Android Data Recovery Pro which enables you to connect via Wi-Fi. Wait until the software completes the scanning process. The software will then display all the recoverable files. Before you retrieve data from Android after a hard reset, preview recoverable files and select desired ones to restore. Then you will need to browse for the destination location to save your rescued data and click on the "Recover" button. Just like I said earlier, it's quite easy to recover data from android after resetting android to factory settings. If you have other great ways, make sure you let us know in the comment below or by sending us an email. A factory reset (or hard reset) is the ultimate cleansing of your Android device. When you perform a factory reset you're essentially wiping out everything you've ever done to the phone or tablet and restoring it back to the basic manufacturer software. Or put it another way, factory reset your phone to the state when you bought it. Check here to get more information about Android factory reset. If you have other problems with your Android device, check to see Top 5 Android Problems and Solutions.